CONGRATULATIONS on your new baby!!! Sheila Hebert Photography’s Baby Club is the perfect way to capture your baby’s first year!!! There will never be another change that is so drastic as the changes your baby will experience like those of their first year – our goal is to create precious “works-of-art” of your new baby that you will forever cherish. The Baby Club plan is simple – you’ll get THREE one-hour, professional sessions and at the end of your baby’s first year, you’ll receive a 10×20 wall-portrait collage with one of your favorite images from each session. The THREE sessions and the 10×20 collage is offered at a special rate for new families for only $79 (plus tax). The Baby Club is very limited and only a select number of new babies can be accepted each month. It is not uncommon for Sheila Hebert to be completely booked up 4 to 6 weeks in advance. So call to reserve your time ASAP! Q. Do you give suggestions for what my baby should wear? A. Yes, when you call to reserve your time for your baby’s first session, you’ll be sent “Your Baby’s First Year” written by Sheila Hebert, which will answer all your questions (at least that’s what our moms tell us). It includes sample photographs too. We are always here to help you with any other questions. We’ll also schedule a pre-session consultation before your baby’s session to go over all the details. Q. Do I get to select my favorite poses? A. Absolutely not! (Just kidding) Of course you do! 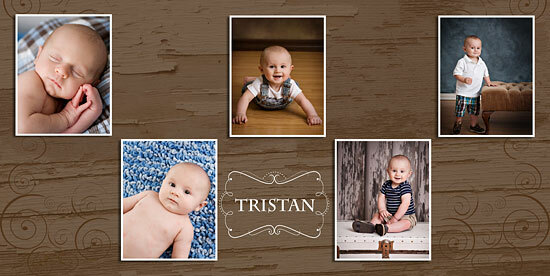 Each time we photograph your baby, you will get a private preview appointment for the “debut” of your photographs. All choices are completely your decision. Period. You preview appointment is usually scheduled about a week after your photography session. Q. Can I purchase additional portraits from each session? And, if so, how much do they cost? A. Yes, most parents choose a variety of poses for themselves and other family members. Sheila Hebert Photography is a full-service studio and we have a complete line of custom gift items that range from $15 to $100. We also offer custom packages and add-on items (Baby Club members also get the benefit of special collections that give you the most value). We pride ourselves on having products of the highest quality and the best value. Our unique items will absolutely thrill you, your family and your friends. They will go crazy over them! A. We are open by appointment only every weekday from 10am – 5pm. Baby Club sessions are scheduled only Monday through Friday. Saturdays are typically reserved for family sessions, weddings & events, and our own family time of course. Q. What if I’m not happy with your studio? I am just not sure about this. A. If you’re not happy….very simply…you get all your money back and we will cancel your membership in the Baby Club! Period. I also encourage you to schedule a consultation appointment where we can meet beforehand and you can see a variety of samples of Sheila Hebert Photography’s work and products in person. Q. What if my baby is older than 4 months and we have missed that session? Call me anyway because we can create a special custom collage — just for you! You won’t be left behind. We’ll create a custom-plan just for you! A. Sheila Hebert Photography’s studio is located on her family’s residential property in Splendora Texas. The studio is closer than you may think – it’s only about a 35-minute drive from most North Houston areas (including Atascocita, Humble, and Kingwood areas). The studio is a professionally-designed studio and is equipped with professional studio-lighting, a variety of professional backgrounds, and of course professional-grade cameras & lenses. We also have numerous outdoor sets available on our “14-acre portrait park”. Q. Who is Sheila Hebert? A. Sheila Hebert is an international award-winning, CERTIFIED PROFESSIONAL PHOTOGRAPHER with over 8 years experience. She is an active member of The Greater East Montgomery County Chamber of Commerce and she also serves on the board of directors of the GEMCC. Sheila is also a member and very active in her industry associations: some of the photography associations she belongs to are Professional Photographers of America, Professional Photographers Guild of Houston, and Texas Professional Photographers Association. Sheila Hebert is very passionate about her career and spends countless hours on photography-related continuing education. She has had the honor of training under some of the best photographers in the world. Sheila Hebert is married to her high school sweetheart (17 years and counting) and has one daughter who is her EVERYTHING! Don’t wait to get your baby signed up – availability is very limited!!! Call or email today! Click here to complete THE BABY CLUB ENROLLMENT form.